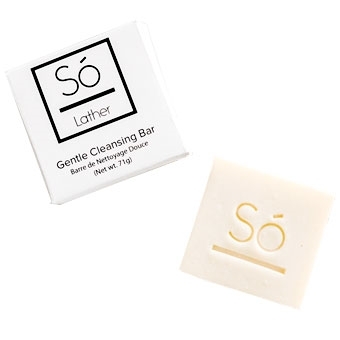 Só Luxury's Gentle Cleansing Bar is made with organic-practice ingredients including olive oil, cocoa butter and coconut milk. This soap will cleanse baby's sensitive skin on those days you need a little more than the Coconut & Oat Milk Bath. The Gentle Cleansing Bar does not contain any chemical ingredients to make it tear-free like traditional baby soaps. As such, care should be made to ensure soap does not get into baby's eyes.